Call 609-390-1299 for your electrical contracting needs! We provide a friendly, no nonsense staff of skilled electricians to bring your job in on time and within budget. 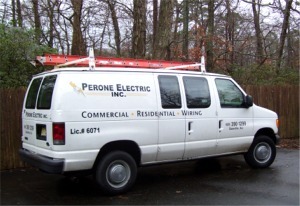 ©2010 Perone Electric - All rights reserved - Web design by Busware, Inc.